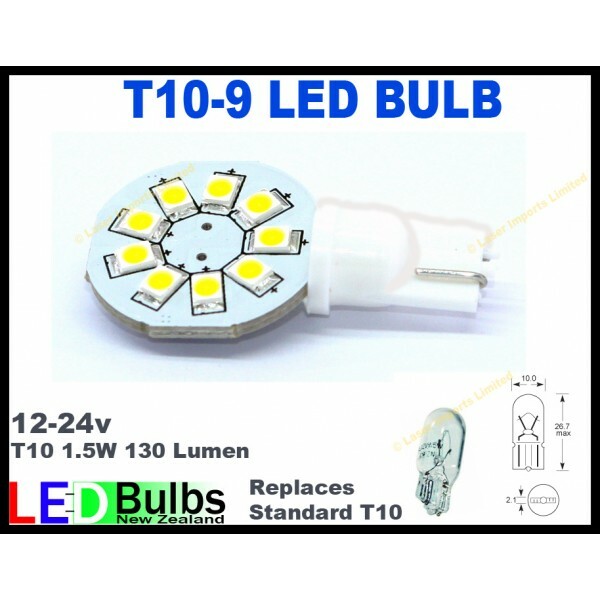 1x T10 bulb Multivoltage with 9SMD leds. This can operate from 8-30v dc. This low power bulb only draws 1.6W so you can leave it on all night with out worrying about your battery going flat. This is great for freedom camping.